Are you injured or in pain and curious about the benefits of physical therapy? Maybe you have experienced a sports related injury and you need to recover in order to perform in your sport again. Your injury could also be causing pain and discomfort through many of your routine daily activities. A physical therapist utilizes a number of different methods in order to help you recover from injuries. 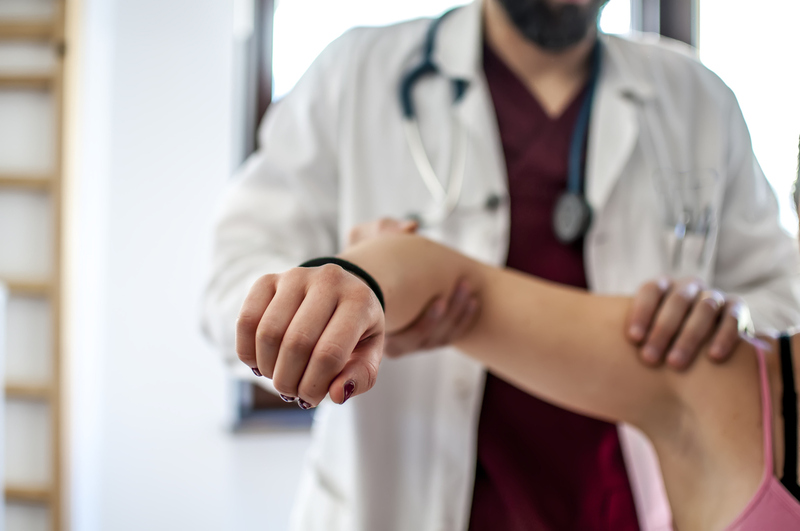 It may seem like one of the biggest battles to overcome, but physical therapist services can help you to fight your pain. The discomfort is actually more difficult if you are trying to fix it yourself, without the proper knowledge and tools. Physical therapists know how to diagnose the source of the pain, and then how to effectively alleviate it. There are a number of different techniques that physical therapists may use to help dissolve your pain, depending on your type of injury and what is causing the pain. It may primarily be joint-related or muscle-related, and your therapy may also involve exercises to strengthen the area. If you have experienced a fairly serious injury, you may have a loss of movement or function in your body because of it. A broken arm, for example, prevents you from writing, typing, eating, or lifting things in the same way as usual. The situation is especially serious if your means of supporting yourself involves physical activity and so we offer help for your workplace injuries as well. Many people in numerous types of professions have turned to physical therapist services to help them return to their job, whether in professional sports, athletic competitions, transportation, heavy lifting, construction, or many others. Physical therapy can usually help you to regain the full use of your body again. Another benefit of physical therapy that may be overlooked is the general improvement of your health and wellness. You may tend to think of therapy as being intended primarily for injury treatment and rehabilitation only; however, it is even more than that. Some people who undergo physical therapy find that they are healthier, stronger, and fitter than before they were injured. That is just one of the benefits of working with a physical therapist who knows best how to train your body. Becoming stronger and fitter can lead you to have a higher quality of life. Of course, being stronger will also help you to reduce your risk of injury in the future. If you are curious if your symptoms, pain or condition can improve through physical therapy or you would like to experience the benefits of physical therapy yourself, the team at Fusion Rehab can help. Our unique approach to your health involves a combination of physical therapy and chiropractic care as appropriate.